Any investment that offers 30% returns on investment monthly(360% annually) is too good to be true, especially when the best returns from the banks is 5 – 15% annually. The traditional banks have to always pay staff salaries, offset all staff bonuses, pay rents, and always build new branch outlet. A virtual bank(one without brick offices) will not need to pay any of the above, and can invariably return higher margin on investment. But can this justify 360% return annually? Putting this in perspective, an N500,000 investment in an MMM in January will become N1,800,000.00(profit N1.3 million ) by January of next year. Compared to a traditional bank investment with a maximum of N575,000.00(profit N75,000) if lucky. The two returns are like a race between a snail and a horse. Now we should not be surprised at so many Nigerians believing strongly in the MMM doctrines and willing to herald it to the gates of IDP camps. What is MMM, and is this type of investment sustainable. Where are the returns coming from? Or are the founders of MMM in Nigeria printing their own monies? According to Wikimedia, MMM was established in 1989 by Sergei Mavrodi, his brother Vyacheslav Mavrodi, and Olga Melnikova. The name of the company was taken from the first letters of the three founders’ surnames. Initially, the company imported computers and office equipment. In January 1992, tax police accused MMM of tax evasion, leading to the collapse of MMM-bank, and causing the company to have difficulty obtaining financing to support its operations. MMM grew rapidly. In February 1994, the company reported dividends of 1,000% and started an aggressive TV ad campaign. An important factor in the scheme’s success was word of mouth, but most of the company’s success came from its extremely aggressive ad campaign. At its peak the company was taking in more than 100 billion rubles (about 50 million USD) each day from the sale of its shares to the public. Thus, the cash flow turnover at the MMM central office in Moscow was so high that it could not be estimated. The management started to count money in roomfuls (1 roomful of money, 2 roomfuls of money, etc. The success of MMM in attracting investors led to the creation of other similar companies, including Tibet, Chara, Khoper-Invest, Selenga, Telemarket, and Germes. All characterised by extremely high promised rates of return. One company promised annual returns of 30,000%. On July 22, 1994, the police closed the offices of MMM for tax evasion. Everyone lost money. 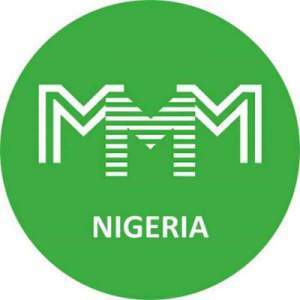 In January 2016 the Chinese government banned MMM on the grounds that it is a pyramid scheme, (Ponzi scheme), and it is not registered in the country (and as a fraudulent scheme cannot be registered). A Ponzi scheme is a fraudulent investment operation where the operator, an individual or organisation, pays returns to its investors from new capital paid to the operators by new investors, rather than from profit earned through legitimate sources. Operators of Ponzi schemes usually entice new investors by offering higher returns than other investments, in the form of short-term returns that are either abnormally high or unusually consistent. Typically, well-above-average returns are promised on the original investment and vague verbal constructions such as “high-yield investment programs”, or “offshore investment” might be used. The promoter sells shares to investors by taking advantage of a lack of investor knowledge or competence or using claims of a proprietary investment strategy which MUST BE kept secret to ensure a competitive edge. Initially, the promoter will pay out high returns to attract more investors and to lure current investors into putting in additional money. Other investors begin to participate, leading to a cascade effect. The “return” to the initial investors is paid out of the investments of new entrants, rather than solely from profits. Often the high returns encourage investors to leave their money in the scheme, with the result that the promoter does not have to pay out very much to investors; he simply has to send them statements showing how much they have earned. This maintains the deception that the scheme is an investment with high returns. At 30% monthly rates for everyone, it seems MMM is making money faster than money can be printed by Minting and Printing Agencies of government. It is most likely MMM pays the “return” to the initial investors from the investments of new entrants, rather than solely from profits – this is even confirmed since no physical goods are being sold. 1. The promoter vanishes, taking all the remaining investment money. 2. Since the scheme requires a continual stream of investments to fund higher returns, once investment slows down, the scheme collapses as the promoter starts having problems paying the promised returns (the higher the returns, the greater the risk of the Ponzi scheme collapsing). Such liquidity crises often trigger panics, as more people start asking for their money, similar to a bank run. 3. External market forces, such as a sharp decline in the economy (for example, the Madoff investment scandal during the market downturn of 2008), cause many investors to withdraw part or all of their funds at the same time. Last week, the House of Reps ordered its committee on banking, currency, and financial crimes to investigate the activities of MMM scheme in Nigeria. It also ordered all law enforcement agencies to start arresting those promoting the MMM Ponzi scheme. Central Bank of Nigeria(CBN) warned Nigerians against patronising MMM which it said was fraudulent, not regulated and not in tandem with any known business model. The crash of Ponzi schemes always starts with any of government regulations or intervention or interference. The end will justify whether MMM is a wonder bank, smart investment portfolio, high-yield investment, Ponzi scheme, Pyramid Scheme or a disaster waiting to happen to many. Joining MMM is a risk my fellow Nigerians. Always trade with caution. => goo.gl/idjzGQ. goo.gl/WnZtkw. MMM NIGERIA pays. Mmm Nigeria is real and is moving forward daily, be a part of this successful story. Don’t let any government deceive you. What is their business in our businesses when they can’t fix the economy. MMM NIGERIA pays, and its paying it participants every day. These are testimonies from participants of MMM NIGERIA community, testifying of the MMM NIGERIA financial help given. Visit the official website of MMM NIGERIA below to get answers to all your mmm Nigeria questions.